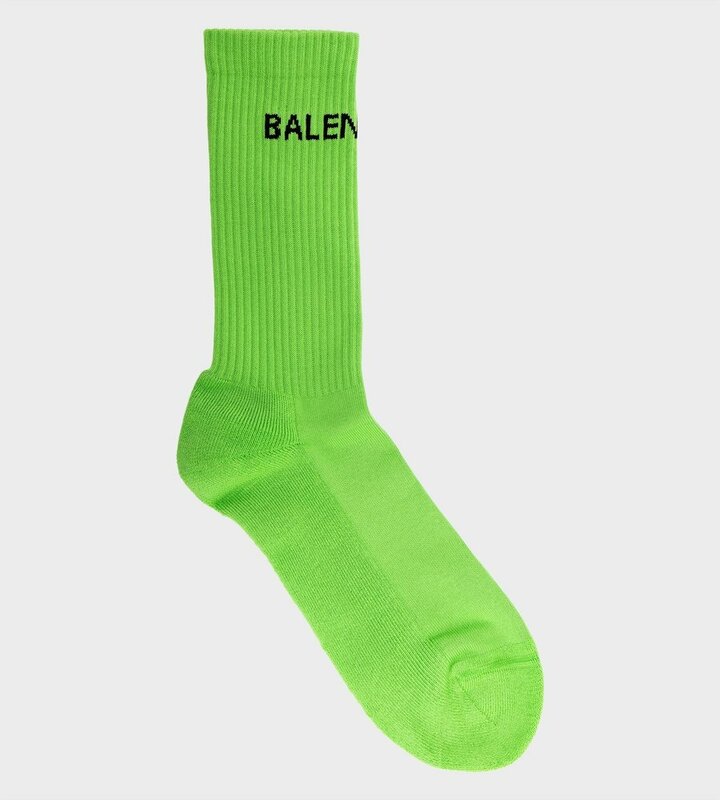 Logo Tennis Socks by BALENCIAGA. 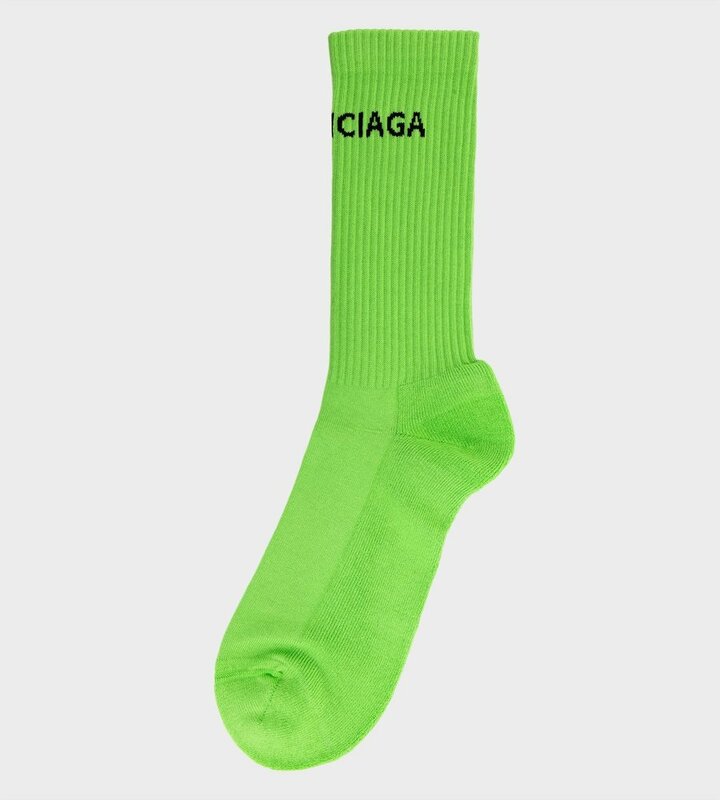 Calf-high cotton-blend socks in neon green. 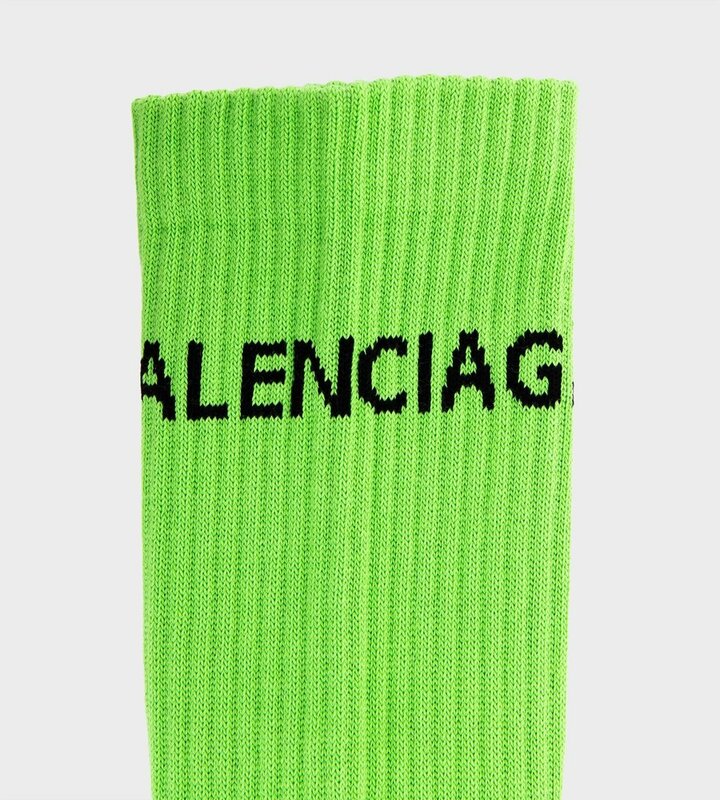 Logo knit in white at rib knit cuffs. Tonal stitching.